Next time – just shoot me. Do you ever feel like life is passing you by? That exciting stuff is happening to everyone else, but somehow is skipping over you? Well, that’s the way I’ve felt for the past few months. Next week the Obnoxious One begins university in Ontario. Can’t believe he got in, can’t believe he’s old enough to go, and can’t believe my baby’s leaving home and moving halfway across the country! Even the poor dog went through massive change – ongoing health problems resulted in the loss of her left eye in early summer. And me? I’ve been holding everyone’s hand through their trials and tribulations as any good mom would do. I’ve listened for hours to the same concerns, arguments, highs and lows of each. (and yes, even the dog – she was VERY vocal after her surgery) I’ve worried, I’ve stressed and I’ve screeched from time to time. What else did I do? Well, I did write my very first novel – it’s a middle grade fictional story – and I sent it out to several publishers in the spring. I’ve received two rejections, but there are still a few more submissions floating around out there. So now I have to wait. So what did I do? I got a new puppy – the most adorable, infuriating, sweet, stubborn, smart little ball of fluff you ever saw. Next time, please just shoot me. 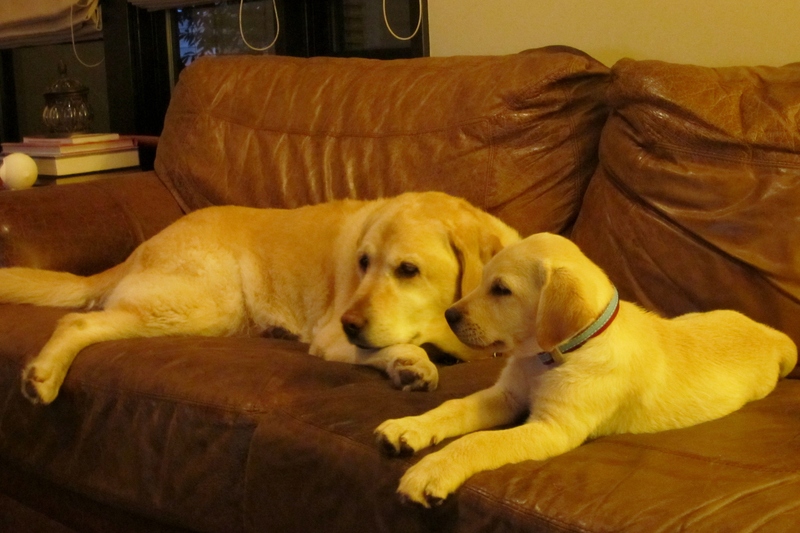 This entry was posted in dogs, family, life musings, relationships, writing and tagged dog, family, humor, kids, life, parenting, pets, teens by Rita Russell. Bookmark the permalink. Puppy is adorable! And I know how crazy it can make you to try to shop a book. My first novel is also making the rounds. Playing with my blog is a great help. Instead of waiting and not hearing… there’s immediate feedback on the blog. You write; you get response. I love it. You are So right! Thanks so much! My oh my, how we would be friends. If you want something new, let me know if you’re crossing the boarder and we two bloggers with lots in common can have coffee… how’s that for a change? 🙂 Puppy, hell no! But did I just take in TWO foreign exchange students, with no notice and too little thought! Hell yes… shoot me too! Sounds like a plan, and sounds like we would have TONS to talk about. I’ll keep you posted as there are a couple interesting writers conferences this fall in and around Seattle. 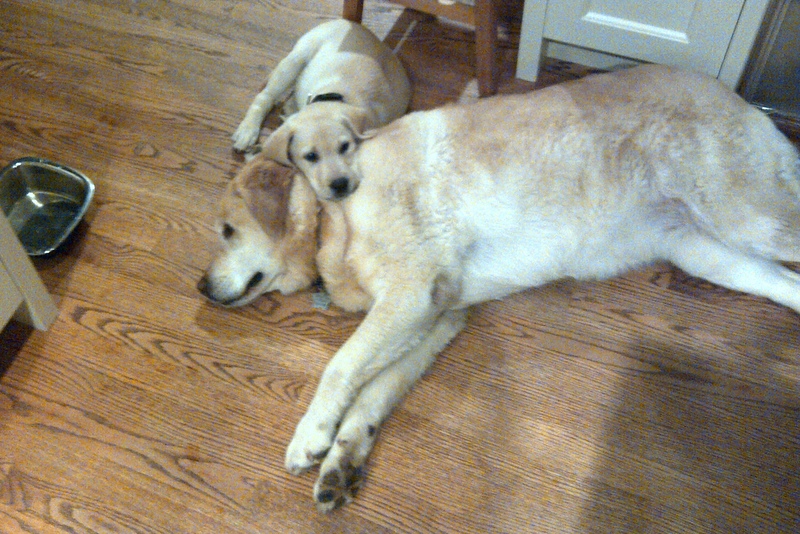 In the meantime, puppy is growing on me – and his older auntie! I just signed up for a really cool conference in Port Townsend the weekend of Oct. 13th, through Centrum. It’s focused on Character driven fiction. Which ones are you looking at, and through which organizations… it would be fun to compare notes. No worries, I get busy and don’t always see responses, etc either. You should check out the Centrum website. They have some pretty amazing writing work shops coming up in 2012. The one I’m doing in Oct. is perfect for my novel, and I’m hoping to get some more clarity and good editing/re-write(s) ideas. Good luck finding something else.